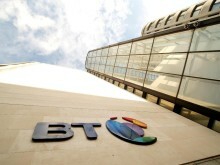 The new BT Infinity 1 up to 52Mbps service offers customers a faster connection, allowing them to do more things at once on the internet, including downloading an HD film up to 32% faster than with 38Mbps. With speeds of up to 52Mbps customers can watch their favourite team in UHD on BT Sport whilst other members of the household are gaming, shopping or watching something else on their phones/tablets. The BT Infinity 1 up to 52Mbps service is available to new customers for £10 per month for the first 12 months on a 12 month contract. All BT Broadband customers get unlimited access to more than five million BT Wi-fi hotspots across the UK, ensuring they can stay connected when they are out and about. Plus, customers signing up to the new deals will also get peace of mind that everything that’s important is kept safe and secure online with BT Protect, BT Parental Controls and BT Cloud. 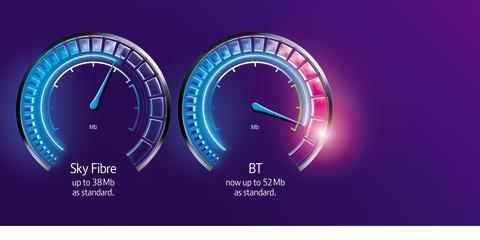 BT is the only UK broadband provider to offer at least 100GB storage with all its new unlimited broadband packages. * Comparison of BT Infinity 1 up to 52 Mbps vs standard entry-level products of major broadband providers, Sky Fibre, TalkTalk and Plusnet up to 38 Mbps broadband and Virgin up to 50 Mbps broadband. Up-to speeds dependent on time of day, line and location.